Warner Bros. is in final negotiations with Paddington 2 director Paul King, to take the helm on a new Willy Wonka movie. Back in October 2016, the studio had acquired the rights to the franchise setting Simon Rich (The Secret Life of Pets) to write the screenplay for the movie, which was said to be a prequel following Willy Wonka's "early adventures." While this new report doesn't make any mention of this project being a "prequel," only stating that it's a "reimagining of Roald Dahl's classic children's book Charlie and the Chocolate Factory," Simon Rich is mentioned as the screenwriter, along with producer David Heyman, who was mentioned in the original story from 2016, so it seems like it is the same project. The original report from October 2016 revealed that Warner Bros. spent most of that year trying to acquire the franchise rights from the estate of late author Roald Dahl, with David Heyman and Michael Siegel, the manager of the Dahl Estate, both set to produce. In November 2016, David Heyman revealed in an interview that the project is, "possibly an origin story", but at the time of that interview, it was still very early on in the development stages and he was still working with writer Simon Rich on the story. The last we heard about this project was back in July, when Ryan Reynolds mentioned in an interview that he wanted to play the title character in Willy Wonka. While it would most certainly be quite the interesting role for the 37-year-old actor, there is no indication yet how young, or old, this version of Willy Wonka will be. 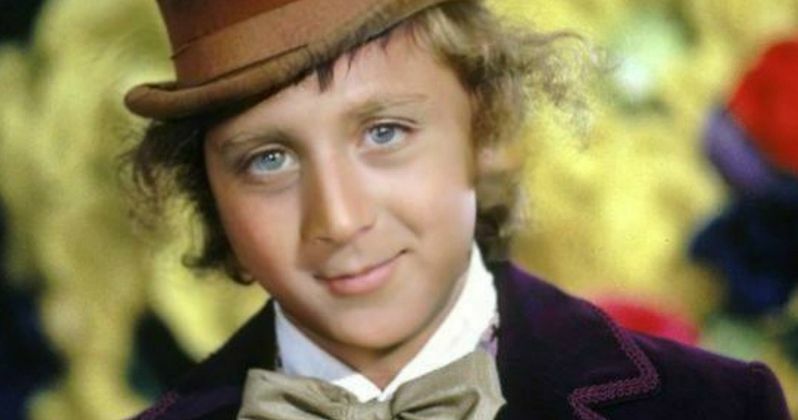 The iconic character was originated on the big screen by Gene Wilder in 1971's Willy Wonka and the Chocolate Factory, with Johnny Depp portraying the candy maker in 2005's Charlie and the Chocolate Factory, which was a more faithful adaptation of the original Roald Dahl book of the same name. David Heyman stated in the November 2016 interview that they weren't planning on using the books Charlie and the Chocolate Factory or Charlie and the Great Glass Elevator for this new story. Warner Bros. also released the 2016 Roald Dahl adaptation The BFG, directed by Steven Spielberg, and they're currently developing yet another Dahl adaptation, The Witches, which Guillermo del Toro has had in development for more than a decade, and is now attracting attention of directors, with Robert Zemeckis said to have met on the project. The studio hopes that this new rendition of Willy Wonka could start a new movie franchise for the studio. Since this new story won't follow the books, it remains to be seen if this story will include the Oompa-Loompas, who Wonka saved from Loompaland before they helped run his candy factory. Paul King started his directorial career on the hit British TV show The Mighty Boosh, which he directed 20 episodes of between 2004 and 2007. He made his feature directorial debut in 2009 with The Bunny and the Bull, and he would go on to direct The Mighty Boosh Live: Future Sailors Tour in 2009, along with six episodes of Come Fly with Me and two episodes of Little Crackers before directing Paddington in 2014, which made $76.2 million domestically and $268 million worldwide, from a $55 million budget. The director came back to make Paddington 2, which debuted in U.S. theaters last month, earning $38.5 million thus far, plus $167.1 million overseas for a current worldwide tally of $205.6 million, from an undisclosed production budget. The Hollywood Reporter broke the news on Paul King directing Willy Wonka earlier today.